This article is a step by step breakdown on how to set up the extra contact categories. This is useful in the event that you have multiple contact categories but do not want your customers to be able to see them. To learn more about contacts, click on this link here. Secondly, navigate to “Driver Settings” section. Here, make sure that “Allow Multiple Contact Categories” is set to “Yes” as shown in the picture below highlighted in orange. You can learn more about multiple contact categories here. Next, select all the categories of contacts that you want to show under the “Extra Contact Categories” field as shown in the picture below highlighted in orange. 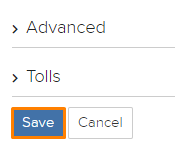 You can leave this field blank if you would like to have all the categories. Lastly, click on the blue “Save” button located at the bottom of the page as shown in the picture below. Now when you create a reservation and reach Step 4 (Customers), you will see the difference in the pictures below. The picture above shows what happens when the “Extra Contact Categories” field is empty. The picture below shows when the field has two out of the three categories.